“Friendship with the unbelievers brings misery to Muslims, like the friendship some Muslim states have with the Zionist regime, exchanging kind words and establishing economic or political relations,” Khamenei writes on Twitter after attending the 35th International Quran Contest in Tehran. The Lod District Court sentences Gabi Korsonsky, 35, to a life sentence plus an additional 18 years in prison for a series of high-profile bank robberies as well as the murder of a security guard during one of the thefts. He is also ordered to pay NIS 258,000 ($72,000) in damages to the family of his victim, Yaniv Engler. Korsonsky murdered Engler when the bank securty guard tried to stop him from entering and robbing a bank in Be’er Yaakov, near the central city of Lod, in 2011. Korsonsky was convicted in October 2017 of Engler’s murder, as well as 14 robberies, illegal firearm possession and use on multiple occasions, and opening fire in a residence. Iran’s semi-official Mehr news agency is reporting that authorities have ordered network providers to stop hosting the popular social-messaging app Telegram. The report comes after a top Iranian lawmaker said last month the government would block Telegram for reasons of national security. Since then, many government affiliated users of the app have migrated to local alternatives. Telegram in the past said it rented nodes for its content delivery network, which allowed servers to provide fast content delivery in many regional countries, including Iran. Thursday’s report said the order will lead to slowness and delays. The app, with some 40 million users in Iran, was temporarily shut down during protests in early January. However, some 10 percent of users reached it through proxies and VPN services. A man riding a horse near the Belinson Hospital in Petah Tikva called authorities to report having seen a human skull in an open field, police say in a statement. Officers are currently investigating the report at the site. 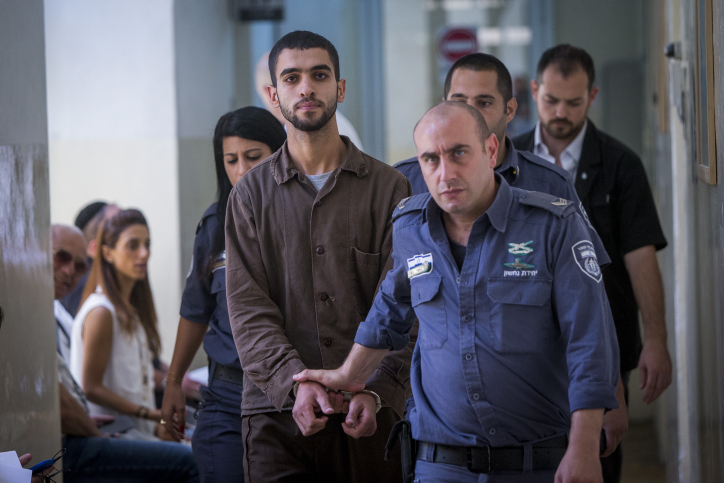 A Palestinian Hebron University student who attempted to bomb the Jerusalem light rail and was found with three pipe bombs, explosives and knives is convicted of attempted murder. In its ruling, the Jerusalem District Court said that 20-year-old Ali Abu Hassan “planned to carry out a mass a terror attack” which judges likened to a suicide attack. On July 15, Hassan entered Israel through a valley outside of the eastern Tsur Baher neighborhood, with the intention of carrying out an attack in the capital as a form of “revenge for visits by tourists and Israeli Jews to the Temple Mount,” police said in a statement at the time. He was armed with three pipe bombs he had linked together into one large explosive and had covered with nails and screws dipped in rat poison. In his bag there were also two knives and a cellphone. The Honenu legal aid organization says a 16-year-old boy was detained this morning in the northern West Bank and brought in for questioning over suspected involvement in a “price tag” attack earlier this month. He has since been released, they say. On Sunday, the Shin Bet security service released statistics showing far-right hate crimes against Palestinians have increased significantly since the beginning of 2018. Through the first four months of the current calendar year, the Shin Bet documented 13 anti-Arab attacks (not including incidents this week). That was in contrast with only eight such incidents in all of 2017. Three such attacks were reported overnight Wednesday-Thursday. 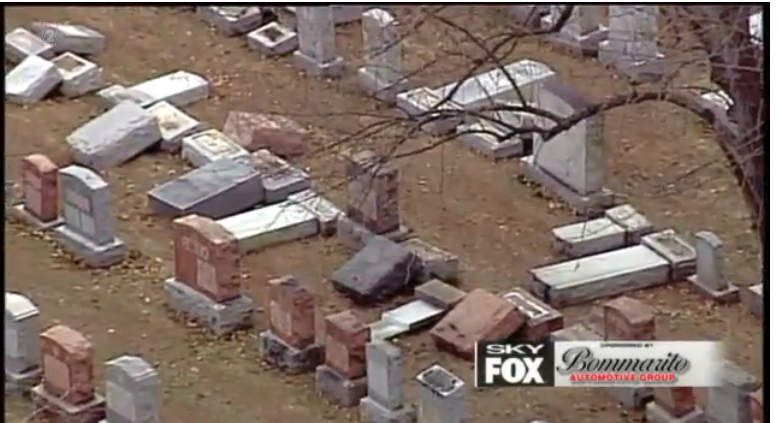 Police arrest a man from suburban St. Louis for allegedly toppling more than 100 headstones at a local Jewish cemetery more than a year ago. Alzado Harris, 34, was arrested after police matched DNA found in a jacket left at the scene of the February 2017 vandalism to Harris, who has a prior criminal history. After his arrest at his home, Harris confessed to the vandalism at the Chesed Shel Emeth Jewish cemetery, the St. Louis Dispatch reports. Harris faces up to seven years in prison on the charge of one count of institutional vandalism. He is not charged with a bias or hate crime. Britain’s Prince Harry has asked his brother Prince William to be his best man when he marries US former actress Meghan Markle next month, Kensington Palace says. “Prince Harry has asked his brother the Duke of Cambridge to be his best man at his wedding to Ms Meghan Markle,” the London royal residence says in a statement. 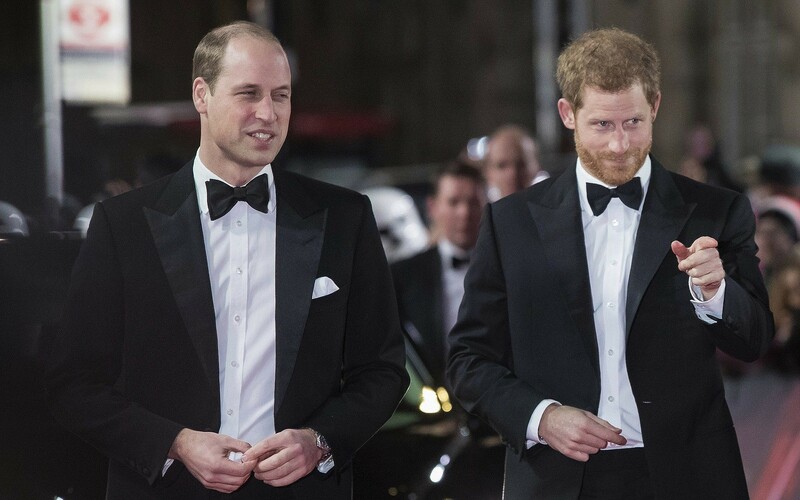 “The Duke of Cambridge is honoured to have been asked, and is very much looking forward to supporting his brother at St George’s Chapel, Windsor on May 19,” the statement adds. Harry was best man at William’s wedding to Kate Middleton in 2011, and the announcement comes after the birth of William and Kate’s third child on Monday. 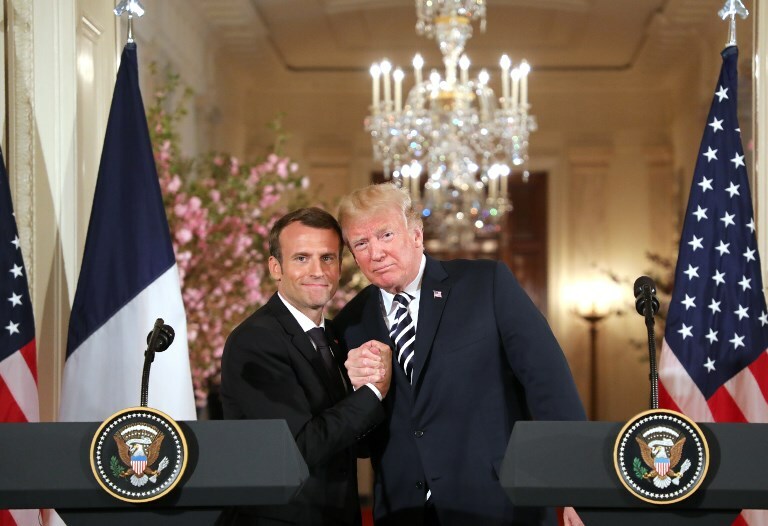 Macron’s remarks to French reporters Wednesday come at the end of a three-day trip to Washington, during which he urged Trump not to withdraw from the 2015 pact aimed at restricting Iran’s development of nuclear weapons. Trump on Tuesday called the deal “ridiculous” but did not say whether he would withdraw the US by the May 12 deadline he has set. Nine schoolchildren are missing after their bus got caught in a flash flood during a school trip south of the Dead Sea. Six children were rescued but there is currently “no visual contact” with the rest of the group, police say. Police and volunteers are currently trying to find them, along with a number of police helicopters. 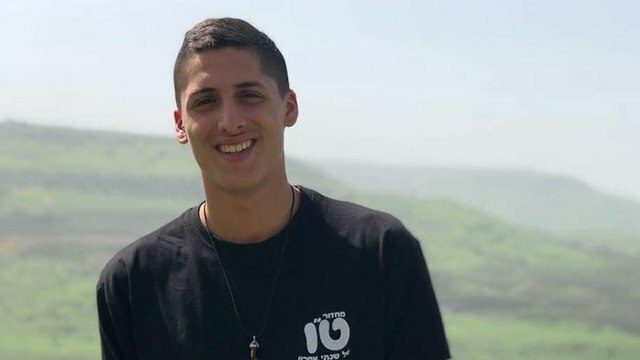 Three students are in critical condition after having been rescued from a flash flood when their group got caught in a storm near the Dead Sea. The three are currently being flown by helicopter to the Soroka hospital in Beersheva. The Magen David Adom paramedic service says 15 students have been extricated so far. The group of some 25 students is from a religious pre-military academy in the north of Israel. The Israeli Air Force’s Elite 669 Search and Rescue Unit has been called in to search for the remaining students. Divers are reportedly preparing to enter Nahal Tzafit to search for missing students who got caught in a flash flood in the area. Channel 10 reports that a number of boats with search and rescue teams on them are being launched in an effort to find up to 10 people still unaccounted for. 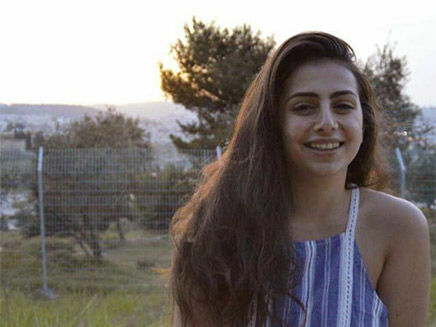 Police have set up a hotline for families to obtain information on a group of students missing in the south of Israel after they got caught in a flash flood. Search and rescue teams are still searching for 10 people, having rescued up to 15 so far. Police say that concerned family members should call 0505073789 for information. Hamas say the body of an assassinated Palestinian scientist said to be a rocket-making expert who was killed in Malaysia earlier this week has arrived in Gaza, according to Hebrew media reports. Fadi Mohammad al-Batsh, a member of the Islamist terror group Hamas, was shot by motorbike-riding attackers Saturday as he walked from his Kuala Lumpur home to a mosque for dawn prayers. Family and friends of the 35-year-old, along with Hamas, have accused Israel’s Mossad spy agency of carrying out the killing, but Israel has denied the claim. 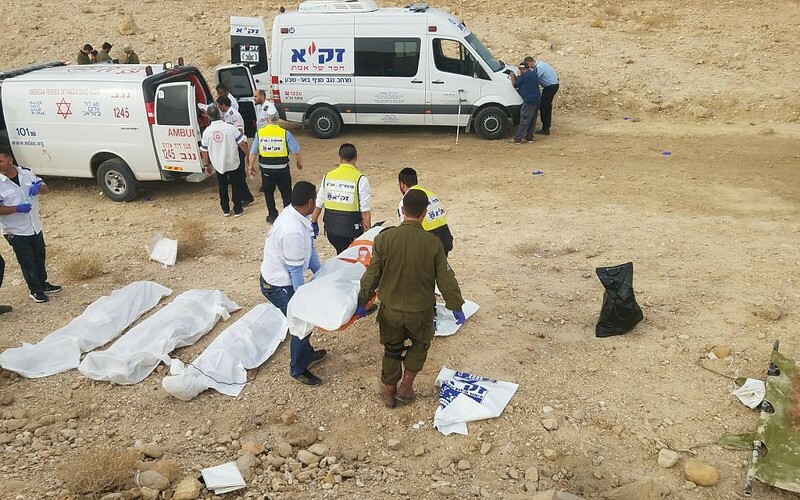 Seven youths from a premilitary academy are in critical condition and five others are reported missing after they were swept away in torrential floods in Nahal Tzafit, a riverbed in the southern Dead Sea area. The Education Ministry says it was not informed of a trip to the south of Israel in which dozens of students were caught in a flash flood and several are feared dead. “The trip was not reported to us, our situation room was not told in advance and we did not give any permission for such a trip,” the ministry says in a statement. The students are reportedly from a pre-military academy in the north of Israel. “I call on all of you, please follow police and search and rescue instructions,” he says. Magen David Adom paramedics are treating a 40-year-old woman injured when a falling tree crushed her car in the north of the country amid nationwide storms. The woman is being taken to the hospital with light injuries, MDA says. The incident took place at the Kinneret Junction south of the Sea of Galilee. With darkness falling, police say that search and rescue efforts to find two missing students caught in flash floods in the south of Israel could continue well into the night. “We are doing all we can to find those still missing. Some have been rescued and some are still out there. We will keep going until we find them all,” police spokesperson Meirav Lapidot tells reporters at the scene. “We are preparing for a long night of search and rescue operations,” she says. 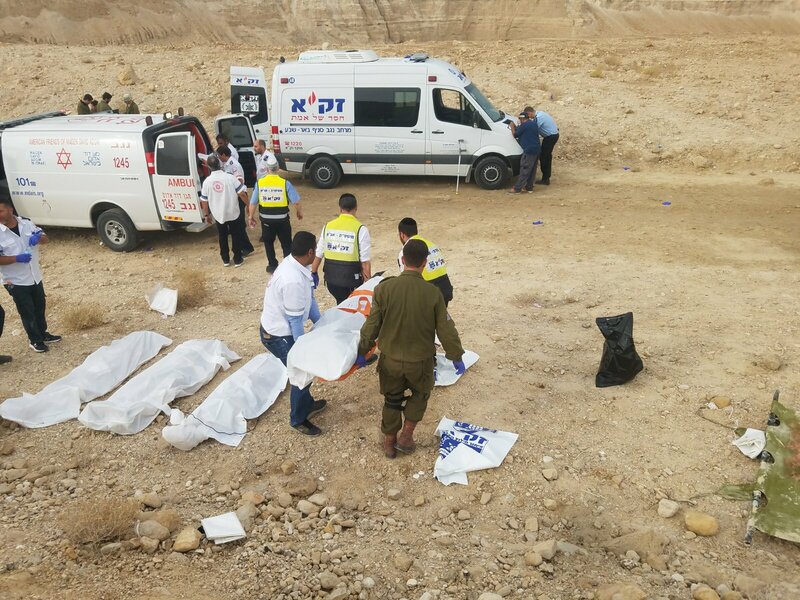 Eight youths from a premilitary academy were in critical condition and two were missing after they were swept away in torrential floods during a hike in Nahal Tzafit, a riverbed in the southern Dead Sea area. Some 13 members of the group were found and retrieved by rescuers without harm. Two were lightly hurt. Search and rescue teams find one more member of a group of students who got caught in a flash flood south of the Dead Sea. Medical teams say the student joins eight others in critical condition. One further student is currently missing. Prime Minister Benjamin Netanyahu says he is “praying for better news” as search and rescue teams continue to search for a missing student caught in a flash flood in the south of Israel. Fourteen others from the group have been rescued, nine of them currently in critical condition. “I send strength the security and rescue services that are working to save lives and find those missing in this terrible tragedy,” Netanyahu says. “We are all praying for better news,” he says. George Stoakley, a UK Conservative council candidate for Fen Ditton & Fulbourn in Cambridgeshire, has been suspended by the Conservative Party after reports emerged of anti-Semitic and other offensive historic tweets. Left-wing Israeli rights group B’Tselem is urging the United Nations Security Council to protect Palestinians taking part in the demonstrations on the Gaza border. 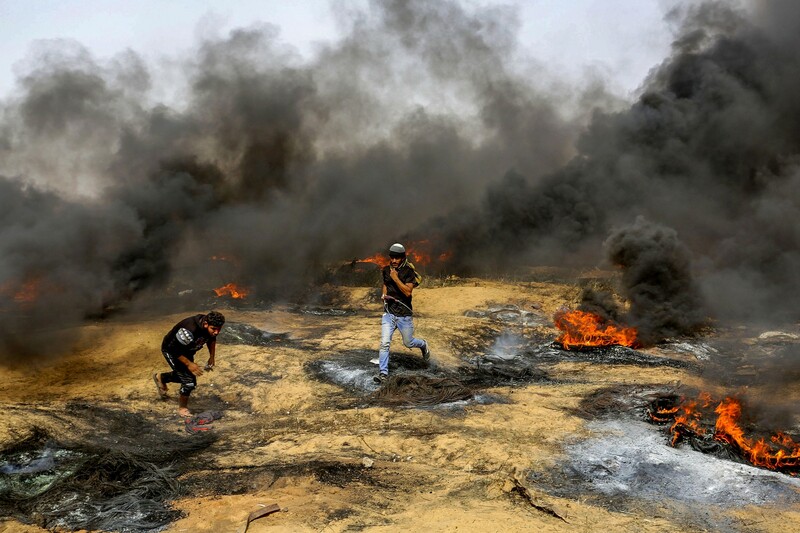 Tens of thousands of Gazans have taken part in Friday protests along the border with Israel, supported by the Hamas terror group which rules the coastal enclave. Hamas leaders say the ultimate aim of the “March of Return” demonstrations is to see the removal of the border and the liberation of Palestine. 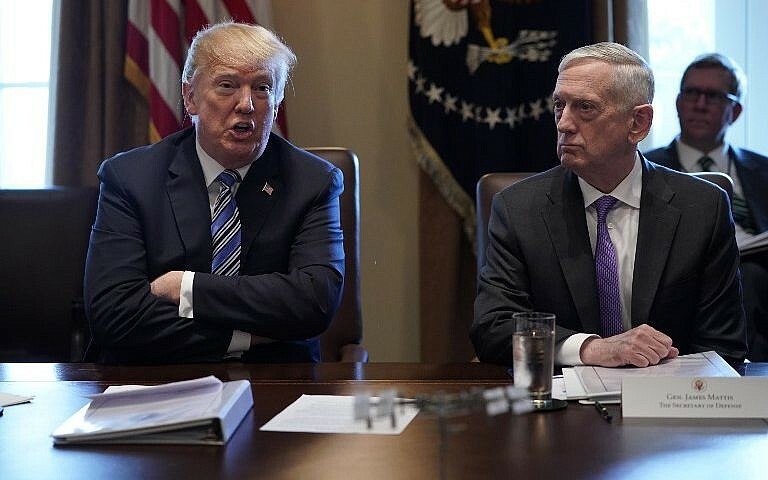 US Defense Secretary Jim Mattis says the administration is still considering whether the Iran nuclear deal can be improved enough to persuade President Donald Trump to remain in it. At a Senate Armed Services Committee hearing, Mattis was asked where the administration stands on the future of the 2015 agreement. Trump has called the deal “insane” and said he will decide by May 12 whether to withdraw from it. Mattis in the past has said he believes the US should stick with the agreement. In his remarks Thursday, he did not express an opinion but said discussions with European allies about improving the agreement are still in progress. Iran’s president on Wednesday ruled out any changes or additions to the accord. The vast majority of American Jews believe in God, but not in the God of the Bible, according to a new study by the Pew Research Center. The survey shows that 89 percent of American Jews believe in God, compared to 99 percent of Christians, 72 percent of unaffiliated people, and 90 percent of Americans overall. But only 33 percent of Jews believe in a biblical God, compared to 80 percent of Christians. A majority of Jews believe in “some other higher power of spiritual force in the universe,” according to the study. Ten percent of Jews do not believe in God. There was a large margin of error for the Jewish sample of the survey: 12.9 percent, as 155 Jews were surveyed. US Ambassador Nikki Haley lashes out at Hamas, accusing the Palestinian movement of “using children as cannon fodder,” following the deaths of dozens of people during protests in the Gaza Strip. “Anyone who truly cares about children in Gaza should insist that Hamas immediately stop using children as cannon fodder in its conflict with Israel,” Haley tells a UN Security Council meeting. Hamas claims that IDF has killed 41 Palestinians, including two journalists, since the protests began on March 30 near the Gaza-Israeli border fence. Poland’s government is criticizing the claim of a US congressman that a new Polish law glorifies Nazi collaborators and denies the Holocaust. The charge was made by Ro Khanna, a Democrat from California, one of two congressmen leading a bipartisan effort urging the US State Department to pressure Poland and Ukraine to combat state-sponsored anti-Semitism. “Our government should be concerned with the resurgence of anti-Semitism in Ukraine and Poland. Both countries recently passed laws glorifying Nazi collaborators and denying the Holocaust,” Khanna wrote Wednesday. Dozens of nationalists picket in front of the American embassy in Warsaw against the restitution of Jewish property. Wednesday’s protest was held under the slogan “Stop Jewish property claims” and is related to a new US law on restitution. The US House of Representatives on Tuesday unanimously passed a bill to support victims of the Holocaust and their families in the process of restitution and recovery of property. Under the measure, the State Department must report the progress of some European countries, including Poland, regarding the return of property unjustly confiscated during the war. After long hours in which their condition was described as “critical,” authorities confirm that nine students who were swept away in a flash flood in the Judean Desert were killed. Several of the students caught in a flash flood in the south of Israel have been confirmed dead, police say. “A number of students have been killed in the flash floods,” police spokesperson Micky Rosenfeld tells the Times of Israel. Rescue authorities put the number at nine. One student is still missing. Youths from a pre-military academy were swept away in torrential floods during a hike in Nahal Tzafit, a riverbed in the southern Dead Sea area. The group of teenagers caught in a flash flood earlier today, of which nine died and one is still missing, were high-school students who had enrolled in a pre-military academy, Dani Zamir, chairman of the Council of Pre-military Academies tells Channel 2 news. The students, 17- and 18-year-olds, were on a “bonding trip” ahead of the program which begins in September, according to a publicly available schedule of the institutions activities. Zamir says that the trip was not under the auspices of either the Education Ministry or the Defense Ministry. The Magen David Adom emergency service says it is responding to a bus that tipped over in heavy rains. Initial reports described the episode, which took place at the Rotem Junction near the Dead Sea, as a “mass-casualty incident” but MDA said that there were no injuries. “All the passengers are safe and units are at the scene,” police say in a statement. Heavy rains continue to fall from the north to the south of the country, causing major traffic on roads and turning inner city thoroughfares into impromptu flowing streams. Thirty-one centimeters (about 12 inches) of rain have fallen in Jerusalem in the past three hours while Tel Aviv, Tzfat, and Haifa have seen around 20 centimeters (almost 8 inches) each. Several roads in the capital became flooded from the excess rain water. Several major roads accross the country have been closed. 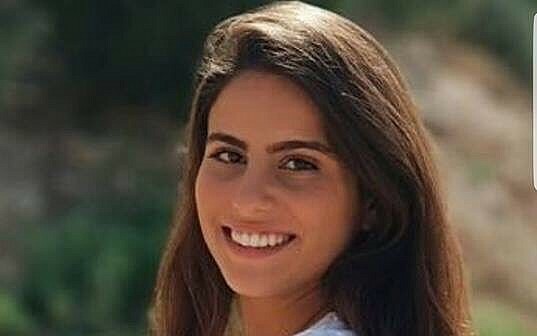 One of the nine teenagers killed in flash flood in the desert near the Dead Sea earlier today told a friend yesterday that she feared for her life in joining the hike that took place in an area known for treacherous weather conditions. Text messages from the girl, published by Hadashot news, reveal her predicting a tragedy and saying she thought the trip was a bad idea. Her friend tried to reassure her, saying that she was sure they would be going to somewhere else that was safe, telling her not to exaggerate. As dark falls over the Arava desert, rescue teams halt their search for the last teenager missing in the deadly flash flood which claimed the lives of nine of her peers earlier today. Police say that a “temporary pause” in the search efforts comes as heavy rains have restarted in the area, raising the possibility of further floods that could endanger rescue teams. The participants had enrolled in the Bnei Tzion school and were set to begin the year-long program there in the coming months. The hike was organized by current students. The southern city of Eilat has been temporarily cut off from most of the rest of the country with the only two roads leading to it from central Israel closed due to heavy rains. Route 90, which leads from Metula on Israel’s northern border, via the Jordan valley, to Eilat, has been closed around the Dead Sea to the Arava Junction following a deadly flash flood in the area in which nine teenagers were killed. At the same time, police have also closed part of Route 40 from Mitzpe Ramon to Tzachor Juntion, due to dangerous conditions in the heavy rain. Prime Minister Benjamin Netanyahu expresses his condolences for the families of the nine teenagers killed in a flash flood in the Arava desert earlier today. 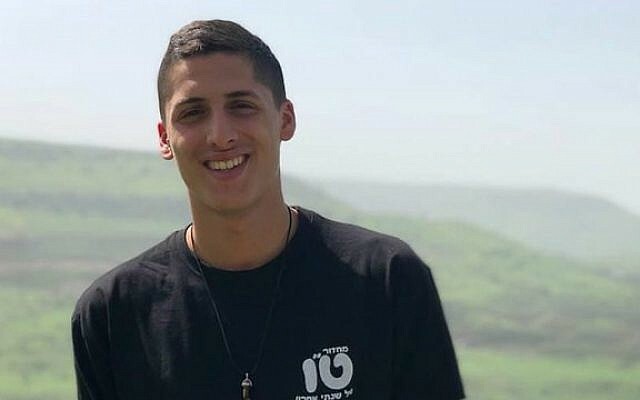 “The state of Israel grieves the promising young lives that were cut short by this tragedy in the Arava,” he writes on Twitter. “We embrace the families in grief, and pray for the speedy recovery of the wounded,” he adds. Two teens are curently being treated for injuries in the Soroka hospital in Beersheba and one remains missing. Four of the nine fatalities in the Judean Desert flooding tragedy have been named. 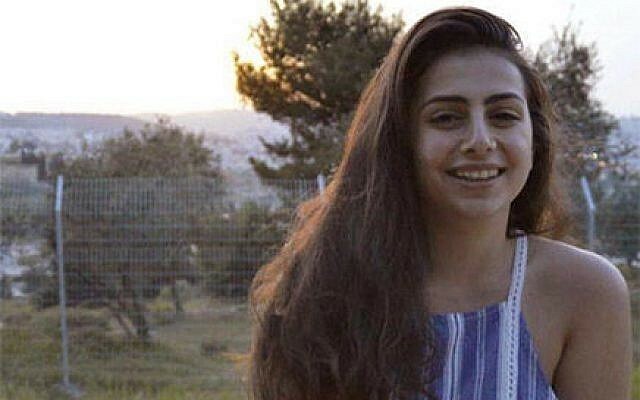 Three of the girls killed in the incident were Yael Sadan, a student at the The Jerusalem High School for the Arts in from Jerusalem; Shani Shamir from Shoham; and Ella Or from Ma’ale Adumim. The boy killed in the incident was Tzur Alfi, from Mazkeret Batya. President Reuven Rivlin sends his condolences to the families of the 10 students killed yesterday in flash floods during a hike with a pre-military academy they were set to attend. Rivlin thanks the rescue crews, IDF, police and volunteers for helping find the missing students, who were killed when their group was hit by flash floods in Tzafit, a riverbed in the southern Dead Sea area. “From here I turn to the citizens of Israel and request: Please, go out to hike only after you checked you’re in a safe area. Don’t take unnecessary risks,” he says.